A World of Opportunities There are plenty of opportunities available this April & May if you’re looking to train in Siam Reiki and other supporting IAHHS courses! Mohana will be in Bangkok teaching Siam Reiki level 1 from 19th-20thApril, Siam Reiki level 2 from 24th-25thApril, and the mind-blowing Developing Psychic Awareness (DPA) from 25th April – 1st May. Learn more about the extensive list of IAHHS courses offered by Mohana. Victor is available for Siam Reiki treatments, and will be teaching Siam Reiki level 1 on 16th-17th April in Bangkok, and for those who can’t make those dates there will be another opportunity on 20th-21st April. He will also be teaching Siam Reiki level 2 on 27th-28th April, and DPA from 22nd-28th April. Debbie is also currently in Bangkok teaching DPA until the 19th April. If you didn’t get there in time to sign up with her this time around, be sure to keep an eye on her calendar so you don’t miss your opportunity to do this awesome course with her next time! Now back from another busy trip in Shanghai, Steve will be teaching his 23rd Siam Reiki Master Teacher in Bangkok from 29th April-5th May, and then heads off to Saigon to teach courses including Siam Reiki levels 1 & 2 from 8th-14thMay. Kwan will be teaching Sacred Soul Thai Massage in Shanghai next month. The class runs from 23rd - 30th May. More information about this beautiful ancient healing art and the Sacred Soul Thai Massage diploma can be found here. Phan is now back in Bangkok after a fantastic training experience in India, and will be setting up her yoga schedule shortly, so keep checking out her calendar for an update of what she’s up to. She has some wonderful experiences to share from her time in India, so keep an eye out for the feature story about this in an upcoming IAHHS mailout! Damien will be in Bangkok with the Frequency System from 23rd – 28th April. Contact him through the IAHHS for more information or to book an appointment. For those of you in Europe wanting to train in Siam Reiki levels 1 & 2 and Pendulum Diagnosis, if you don’t have the patience to wait until Steve and Kwan’s upcoming Europe trip (see feature), then you’re still in luck as Sascha is available to offer training. Remember that Pam will be offering a range of IAHHS services in the USA very soon, and of course don't forget that Shaman Robin Tekwelus Youngblood will be in South Africa at the end of May. To get in touch with any of the IAHHS Teachers, send your inquiry here. Energy Upload in Time for European Summer For those of you in Europe who are now more than a little bored with all the overcast, grey weather that has been dominating the skies over the past 6 months, the great news is that things are guaranteed to brighten up this summer when several IAHHS lightworkers - plus a little lightworker-in-the-making - come to give training and spread their wisdom. Steve and Kwan will be bringing Darwan on his first European Tour in June and July, with current plans for stop-offs in Holland, Belgium, France and England. As well as the usual courses offered by Steve and Kwan in Siam Reiki levels 1, 2 & 3, DPA, Pendulum Diagnosis, Crystal Healing, Psychometry and How to See the Aura, Kwan will be offering training in Sacred Soul Thai Massage levels 1 & 2 and Indian Head Massage. On top of this, for those of you who didn’t have the chance to train with Steve during a trip to Asia, there will be a rare opportunity to take part in the intensely exciting Transcending Entities and Transmutation Course (see this month’s feature Lighting Up the Dark). And of course don’t forget that Robin Tekwelus Youngblood will also be holding courses and training in Holland throughout June. If you want to know more about Steve and Kwan’s visit or about the possibility for a visit in your part of Europe, contact your local Course Organizer here. And remember, if there is no Course Organizer in your area, you can still make it happen by becoming one yourself. For more info contact Sascha. Have you ever had that feeling when you set foot into a place - a house, a commercial building, even a space outdoors - and you instantly feel that sort of eerie shudder go through your body? You feel like something isn’t quite right, but when you look around everything seems perfectly pleasant and normal on the surface. You continue to go about your business in that place, yet you can’t quite shake off that feeling that things are not quite as they should be. Most of us have had this feeling at least once in our lives, yet of course when we can’t pick up anything tangible in a physical form, for many of us, our conditioning tells us that we’re just being irrational, and so we carry on, trying to convince ourselves that it’s all in our heads. Well, chances are when you’ve had this feeling you’re not just imagining something but are in fact intuitively picking up the frequency of lower energies that have either become stuck on the earth plane, been intentionally placed there by someone - whether the intention was good or bad - or are a positioning of natural energetic phenomena such as ley lines and vortexes. People so often live with these energies around them, experiencing frequent illness and strings of unhappy life events, and simply put it down to just being a person who’s ‘unlucky’ in life, without even realizing that the reason is in fact due to these other energies in that space. With so much war and bloodshed having taken place over the last millennia, not to mention millions of personal events of illness and tragedy, there are many areas throughout the world where these lower energies are stuck, and as a result create energetic havoc for the people in those places. 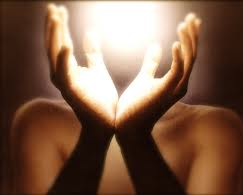 Siam Reiki students, especially at level 2 or above, become more sensitive to these energies, experiencing them sometimes within the context of a reiki treatment as well as in physical spaces where they are present, and whilst most of us would like to stay in the comfortable bubble of working only with the light, it is Universal Law that the more we work with the light, the more of the dark we will encounter too (makes sense really, since the more light we work with, the stronger the tools we have to deal with the dark), so the best way for us to deal with this is to be adequately prepared! Siam Reiki Master Teacher and SIEA (Specialists in Energy Auditing) group member Debbie Creagh says: 'As a member of SIEA group, we deal with a wide variety of issues such as negative energies, earthbound spirits, energetic imprints, negative thought forms, curses on the land, and other supernatural entities. I believe what we do is important, sacred work for the good of all. When we remove earthbound spirits, they are released to where they are supposed to be and are finally at peace. Our clients have the reassurance that their home is clear of unwanted energies and their thoughts and feelings are their own. It is rewarding to know that what we do is helping to restore the balance to Mother Earth and the Universe.' The IAHHS Transcending Entities and Transmutation Course teaches students to sensitize to these different energies, how to identify what the energies are and how they got there, and in the process learn how to work as part of a team in order to transcend or transmute these energies; or in other words to bring light to the dark, freeing these energies and the place they are attached to so as to restore balance and peace in that place, and thus - in the case of earthbound spirits - freeing those energies to progress on their soul's journey. The SIEA group has already been in place working in Thailand, Cambodia and other Asian countries for the past 2 years, and now the IAHHS is looking to set up a SIEA team in Europe to continue to spread the fantastic healing benefits of this valuable work on a global scale. In order to start training to become a SIEA Professional, the student needs to be at least a Siam Reiki level 2 and have completed the course Developing Psychic Awareness. They can then take the course Transcending Entities and Transmutation, after which time they will become a SIEA Apprentice. After 10 experiences as an Apprentice the student goes on to become a SIEA Professional, and after a further 30 experiences in this role, they can then become a SIEA Team Leader (Master). During Steve’s last visit to Holland in March, he was pleased to welcome 3 new SIEA Apprentices to initiate the team for Europe. This is of course just the start, so when he returns this June/July there will be more training, with possibilities to learn Transcending Entities and Transmutation not only in Holland, but also France and England. Learn more about this course here, or if you would like to find out more about an upcoming Transcending Entities and Transmutation course in your part of the world, send us a message. If you or someone you know is experiencing unexplained illness or strange experiences in a space and could benefit from a visit by the SIEA team, find out more here or send your inquiry with photos to the SIEA team at info@sieagroup.com.